The USA Standard Safety Color Code for Marking Physical Hazards and Identification of Certain Equipment should be followed in relation to obstructions and aisles. Areas designated for battery charging and installations should only be used for that purpose. Ensure that the storage and handling of fuel, such as diesel and gasoline, are up to code. 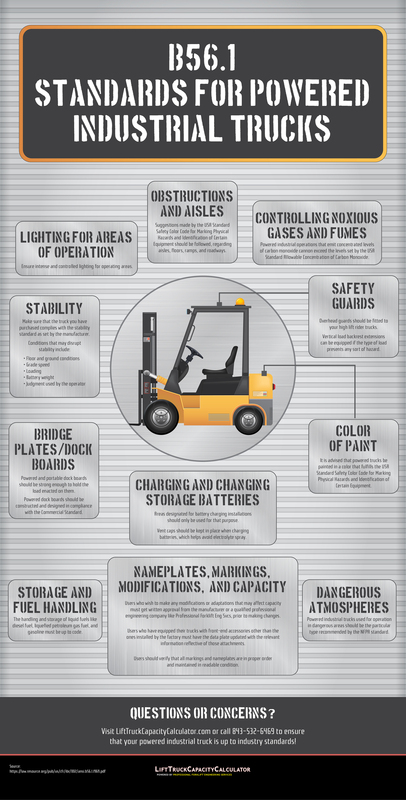 Be sure that your management team and employees are aware of the various safety standards in place for the storage and operation of powered industrial trucks in order to avoid potential injury and loss for your organization.